Welcome to A Rush Of Laughter Comedy Management. We specialize in some of the finest comic talent the UK has to offer. 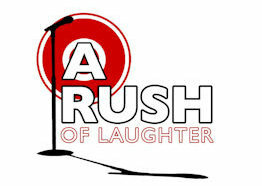 Set up by retired comedian Adam Rushton, who himself spent over half a decade on the live comedy circuit both performing and promoting shows, A Rush Of Laughter has hand picked a variety of acts disciplined in Stand Up Comedy, Voice Over, Acting, Comedy Writing, Corporate and Presenting work. For more info on our acts click on the Artist pages.